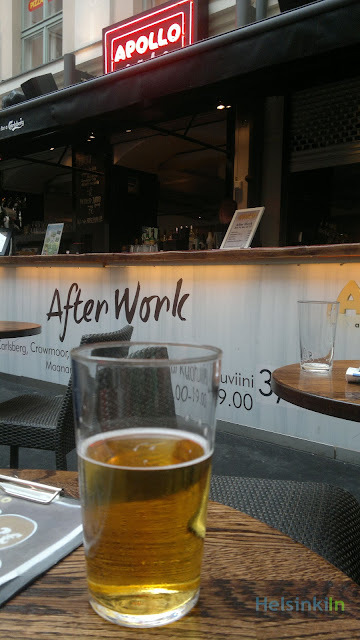 You had a hard day at work and would really fancy a beer now? Check out Apollo. It’s not just a nightclub but also has a bar that opens mainly for after work drinks. In one of the entrances of Forum shopping center in a yard covered by a glass roof you can sit on the terrace no matter what weather it is. From 16.00 till 19.00 you can get a big beer or cider or a glass of wine for just 3,50€. That’s a really good price for the center of Helsinki. The atmosphere is nice and it’s never too crowded. So check it out and enjoy your free afternoon!